Rival teams are keeping an eye on the Dolphins’ defensive end situation, according to Adam Beasley of the Miami Herald (on Twitter). With the 53-man roster crunch looming, teams know that Miami will be forced to cut at least a couple of intriguing bookends, Beasley hears, and he wonders aloud if that could make for a trade possibility. 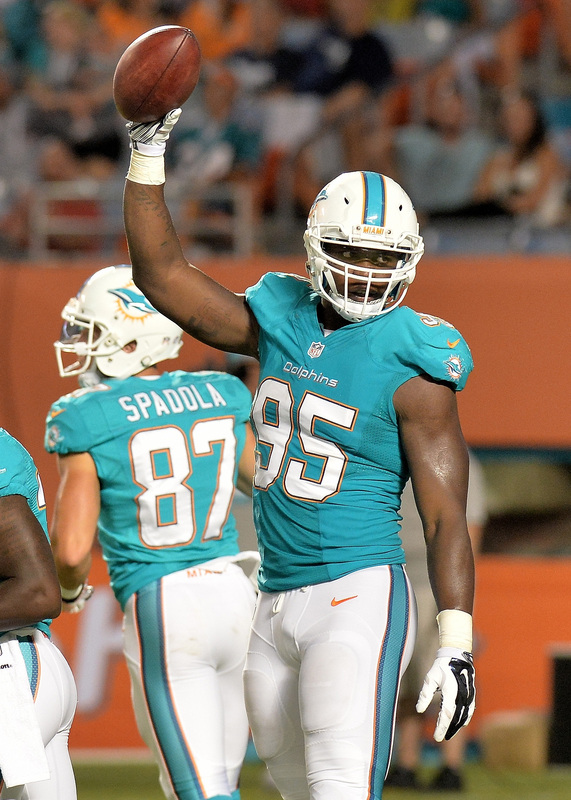 Of course, Dion Jordan stands as the Dolphins’ most notable reserve defensive end. Reinstated just days ago, the Dolphins got an unpleasant surprise when they learned that Jordan got knee surgery during his time away from football. As the former No. 3 overall pick recovers, Miami has placed him on the NFI list. Jordan is expected to be back on the field within two to three weeks, but there’s no guarantee that the Dolphins will want to carry him on the roster this season. In theory, Jordan could be a release or trade candidate and one has to imagine that there will be teams with interest given his innate talent. The Dolphins plan on using free agent additions Mario Williams and Andre Branch in the starting defensive end roles. Behind them should be the newly-restructured Cameron Wake and another recent free agent pickup in Jason Jones. After that, Jordan, Chris McCain, Terrence Fede, Jordan Williams, and Julius Warmsley are all fighting for a spot on the team, as shown on Roster Resource.